IAN KOZIARA, tenor, is a third-year member of the Metropolitan Opera’s Lindemann Young Artist Development Program. His performance in the title role of Mozart’s Idomeneo with Wolf Trap Opera was hailed by the Washington Post for its “striking beauty of tone”, and was later listed in the same publication as one of 2018’s top ten performances. Mr. Koziara’s recent roles at the Metropolitan Opera include Derek in Nico Muhly’s Marnie, Fourth Sentry in Parsifal, Enrique in The Exterminating Angel, and First Armored Man in Julie Taymor’s production of The Magic Flute. Upcoming engagements will see Ian as Tristan in Le Vin Herbé, Frank Martin’s retelling of the Tristan and Isolde myth, and Fritz in Franz Schreker’s Der Ferne Klang with Oper Frankfurt. Upcoming Seasons will include roles from operas by Tchaikovsky, Richard Strauss, and Wagner. Ian has participated in several well-known Young Artist Programs, including Carnegie Hall’s “The Song Continues” Masterclass Series (2016), The Glimmerglass Festival (2016), Wolf Trap Opera’s Studio Artist Program (2015), The Ravinia Steans Institute (2014), Des Moines Metro Opera’s Apprentice Artist Program (2014), Houston Grand Opera’s Young Artists Vocal Academy (2013), and The Naked Voice Institute at Northwestern University (2013). He will return to Wolf Trap Opera this coming summer for his second season as a Filene Young Artist. An Upper Midwest Region finalist of the Metropolitan Opera National Council Auditions of 2014, Ian completed his undergraduate study at Lawrence University in Appleton, Wisconsin, and completed his Master of Music at Rice University in Houston, TX. He currently resides in Manhattan, NYC. 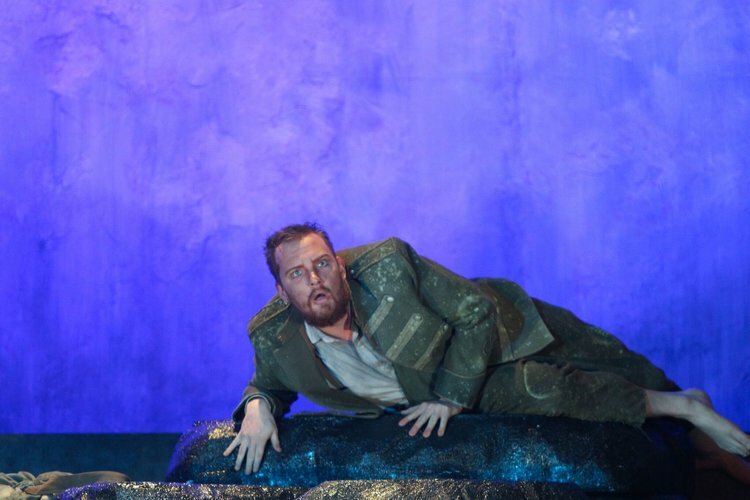 "Koziara’s Idomeneo shifted the proceedings into a higher gear, from the opening recitative, sung with striking beauty of tone…"